Coil weight max: 12 kgs. 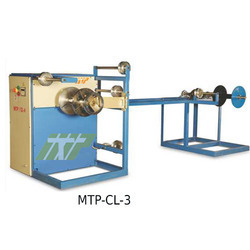 We are highly acclaimed in this industry for providing an optimum quality range of Rope Coiling Machine. Being one of the renowned firms in the industry, we are dedicatedly involved in providing a premium quality Rope Coiling Machine. 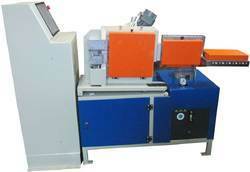 Features : Operational fluency Easy to operateLow maintenance. Digital length counter meter,Easy to operate, Layer to layer uniform winding, Self adjustable traverse system. This is how climbing and yachting rope is made. This device is intended to be used as a standalone coiling machine, but can be used alongside other parts for a complete wire rope handling system. Rolls of paper ropes have good appearance and are easy for storage and convenient for usage in the future. Coil weight max: 25 kgs. We are devoted towards offering the qualitative range of Automatic Rope Coiling Machine, as per client's precise need and requirements. Coil weight max: 15 kgs. Coil weight max: 110 kgs. These Rope Coiling Machines are used for packing the finished Ropes in different size of Coils/Bundles as per market demand. Our Rope Coiling Machines ensures excellent finishing and uniform construction of the Rope Coils. A Two-in-One Model specially designed for making Coils and Hanks.